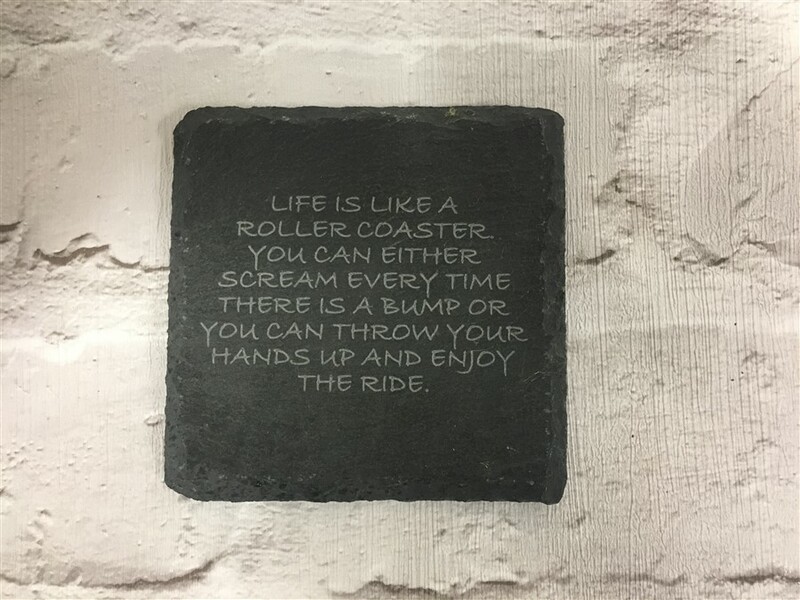 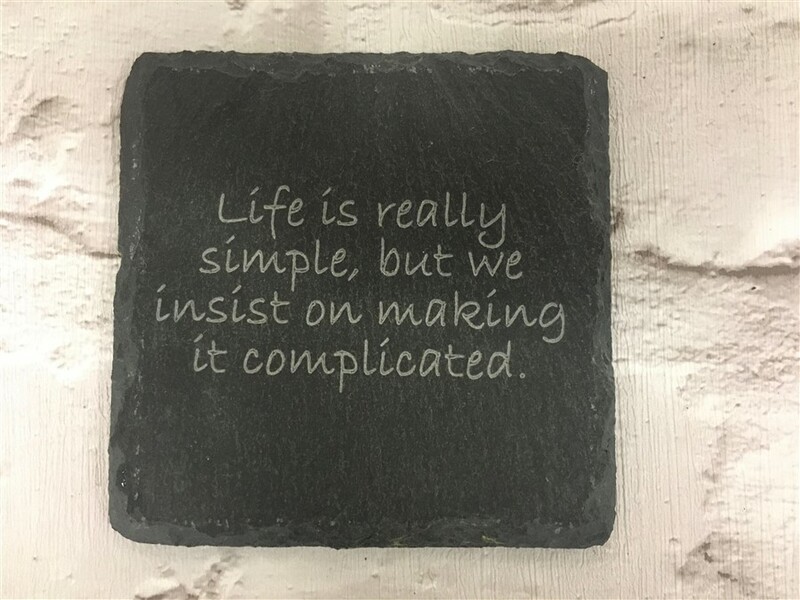 View cart “Slate Quote Coaster – Q125” has been added to your cart. 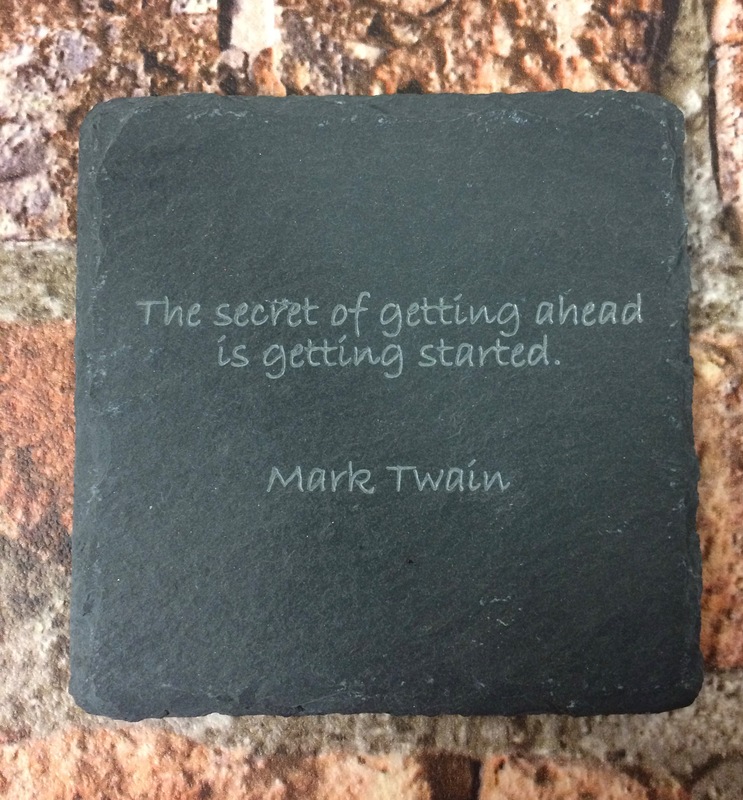 Slate Coaster with message engraved. 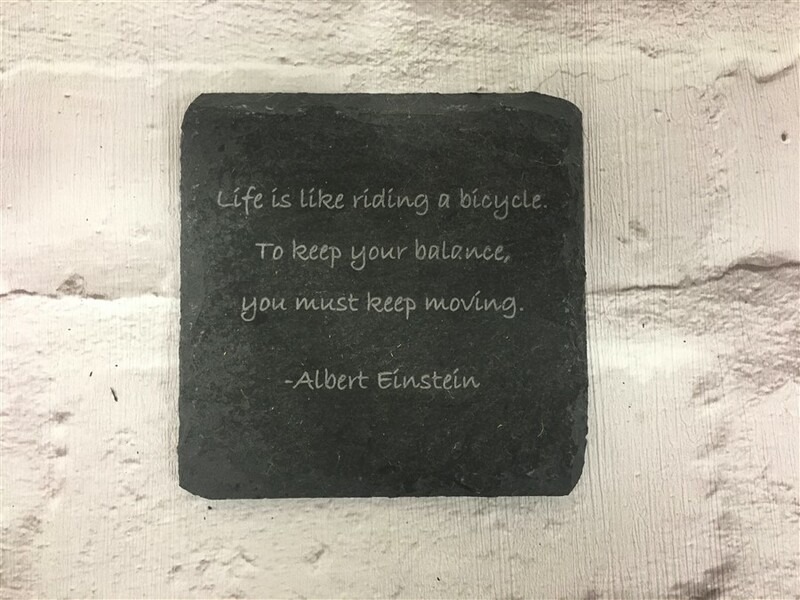 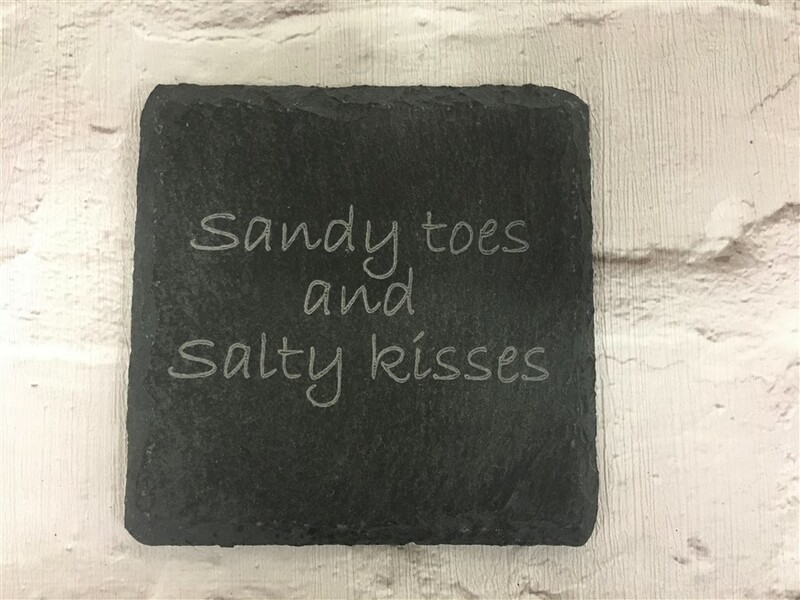 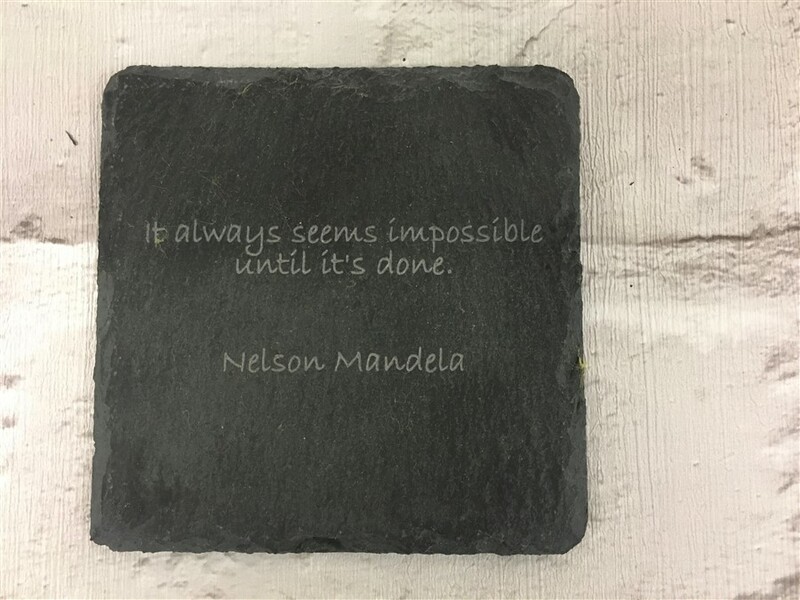 Quote Slate Coaster with message engraved. 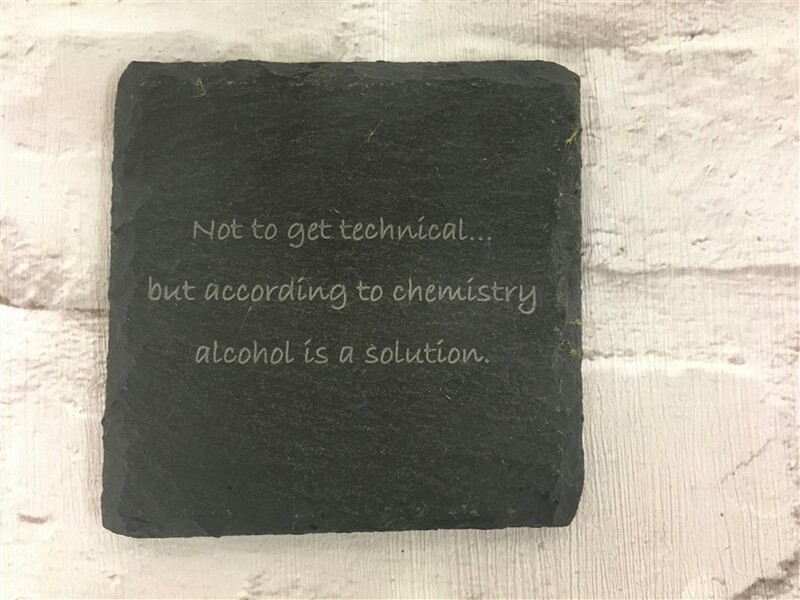 Message reads: – Not to get technical… but according to chemistry alcohol is a solution. 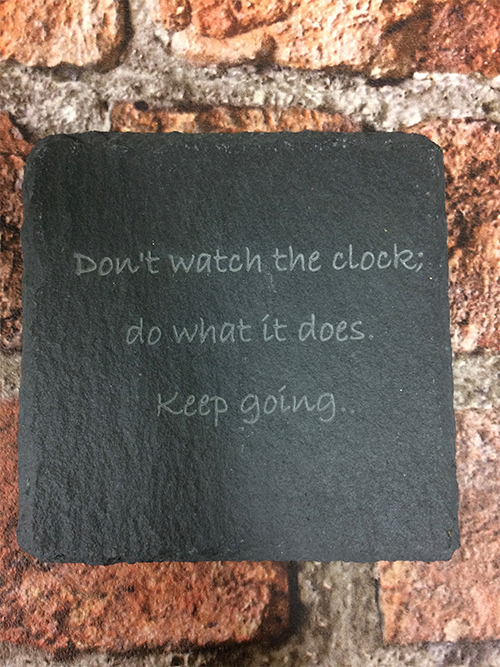 Message reads: – Don’t watch the clock do what it does keep going. 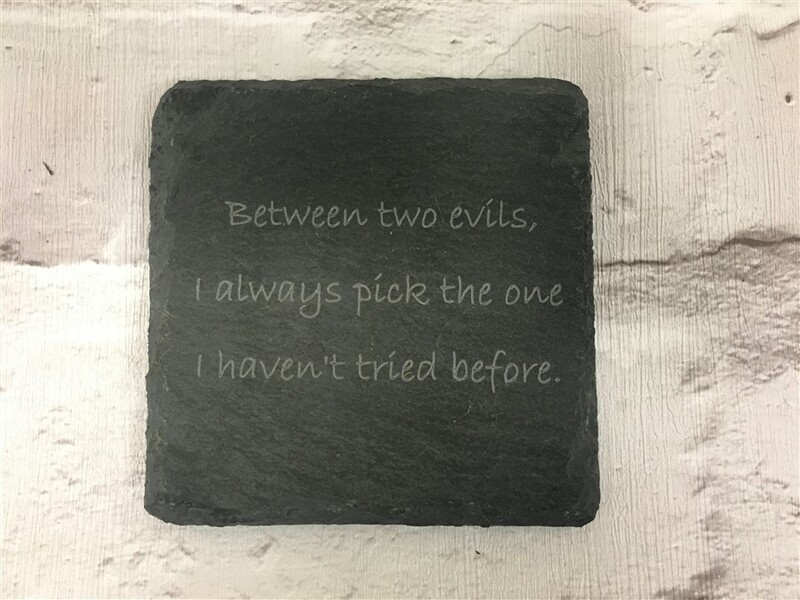 Message reads: – Between two evils, i always pick the one i haven’t tried before.